Readmobile – The Readmobile visits schools, day care centers, parks, four Chattanooga Housing Authority locations and places where families gather (like the Hamilton County Fair and Chattanooga’s holiday parade). Mr. Stewart and a team of volunteers provide a highly engaging read-aloud experience and make sure that each child chooses an age-appropriate book to take home and keep. READ 20 at Your Business – The Readmobile also visits businesses to encourage employees to read with their children. Trust us – the adults are well entertained, and participants get to choose a book to take home to read with a child. 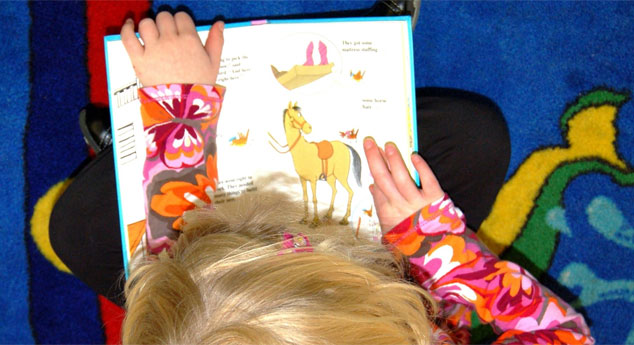 Probasco Readers – Working with Hamilton County schools and teachers and area Day Care Centers, this program provides incentives and rewards for children to read at least a million words in a year. Guide for Kindergarten Skills – We worked with a team from Hamilton County schools to develop this guide to help parents and teachers prepare children for school. This was a much-needed resource – people from all over the country are asking us to assist with the process of great education measures for all children entering kindergarten. Read 20 Neighborhood Libraries – We provide books that volunteers use to fill the Read 20 Neighborhood Libraries that we hope will eventually be placed in every neighborhood, businesses, and county and city service department. Initially we have 18 libraries placed throughout the Hamilton County area. We’re happy if children borrow the books or keep them, either way.